From a distant corner of the galaxy, an evil alien race sets in motion a sinister plan to conquer the Earth. They unleash a powerful catalyst - Energy X - that imbues the planet's worst miscreants with super-powers to bring the planet to its knees. Now Earth's only hope lies with a new breed of heroes... 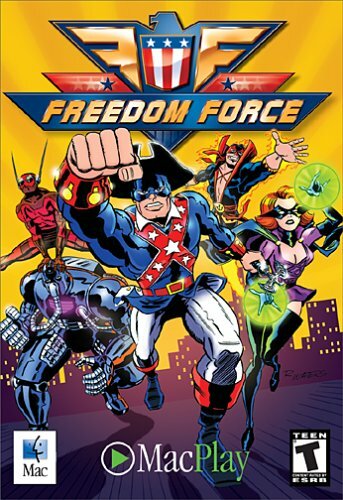 The Freedom Force!Features Command a squad of comic book heroes in the defense of Patriot City. Choose from over a dozen heroes or design your own hero skins & customize their abilities with the incredible super-power creator!